Everyone who is designated to act as a crew member of a, survival boat or rescue boat. Training the student in the theory and practice of determining the state of readiness, launching, taking on board and handling of the life boats and rescue boats during emergency situations. Check the state of maintenance and readiness of the vessels. Take charge of a survival craft and rescue boat during and after launch. 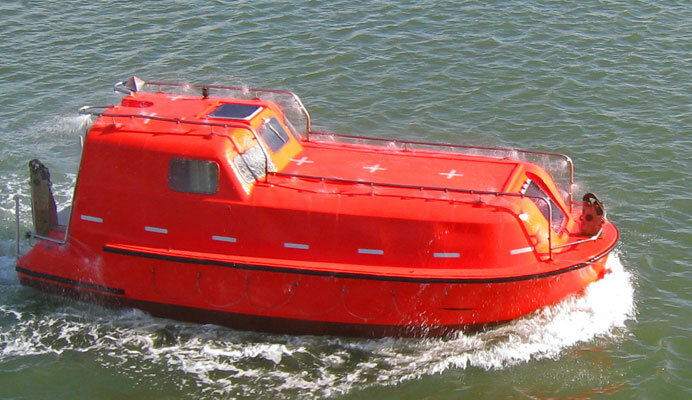 Operate a survival craft and rescue boat engine. Launch various types of life rafts. Manage survivors and survival craft after abandoning ship. Use location devices, including communication and signalling apparatus and pyrotechnics. Written test must be completed with satisfactory results. The course participant must be in the possession of a valid certificate Basic Safety Training STCW A-VI / 1. 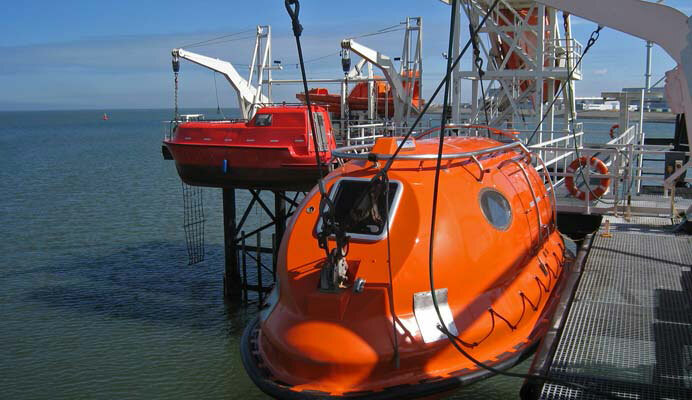 An Additional full launching Free Fall Life Boat training can be booked in combination with a PSCRB course. Costs on request.